Facebook has changed the way people communicate. As a small business you cannot deny the impact of social media in our daily life. It does not matter whether your are one man business or enterprise, social media is must for business growth. You might be using facebook better or have different ideas, feel free to add in the comments section at the bottom of the post. Go ahead, take these 45 tips and use it to grow your business. 1. Tune your Personal Profile for Business. 2. According to facebook terms & conditions one person can only have one ID. 3. Don’t open a separate account for business. 4. You cannot have personal profile on business name. 5. Edit your personal facebook profile and select the privacy. 6. Hide your full date of birth (good idea). 7. Include full information about you and your business in the bio. 8. Use your main keywords in the bio. 9. Select a professional picture for your profile (highly recommended). 10. Profile picture can be of 200 x 600 (width x height). 11. Find out how likes and interests work on facebook. 12. Find active users and connect with them. 13. Never send friend request without a message. 14. Organize friends by lists. Lists are visible to friends now (Important point to consider). 18. Choose the product category carefully, facebook can ask you to verify that you are the product owner. 23. Always keep minimum 2 administrators of your business page. 24. You can import your blog posts directly into business page. 25. Huge range of applications is available to spice up your business page. 26. 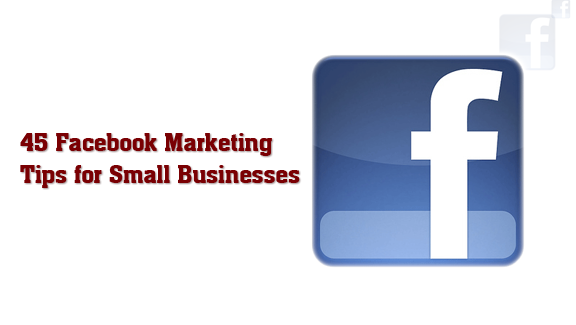 Offer people incentive to like your page. 28. You can use facebook as a page now. It will allow you to comment and like other pages as a page. 29. Search your competition and find out popular groups. 30. Find groups in your niche and connect with group admin. 31. Add value to the groups to establish your authority. 32. Create your own group. 33. Groups can have unlimited members. 34. Facebook does not allow direct commerce through groups. 35. Check spam & regulate your group. 36. You can e-mail up to 5000 members at a time. 37. Status updates of groups do not appear in the news feed. 38. Use keywords in group name and description. 39. You can do Joint ventures with other group admin. I would love to hear how you are using facebook. Feel free to ask any question you may have in the comments below.